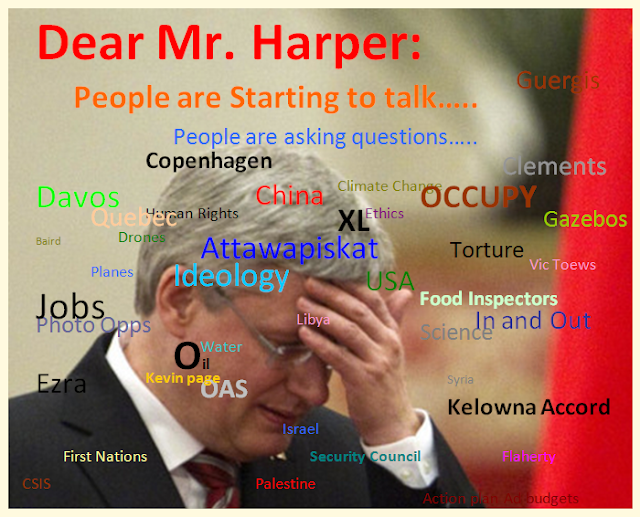 The Twain Shall Meet: Dear Mr. Harper ~ Canadians Speaking to Power. I could add a thousand more things that Canadians need answers to. Dear Mr. Harper: A work in Progress. Let's kick it off with a song. Listen to it all, it kinda grows on you. And once she gets going it grows on her. use art as a weapon against tyranny. Yeah, It's All About the Art of Asking Questions. This from my home town. See? People Have Questions and People Deserve Answers. These Kids got Arrested Pretty Easily. But hey, they were asking questions. Great blog Mr. Leaman. As always you cut to the chase. By the way, that song is awesome. I've been looking through the archives here. 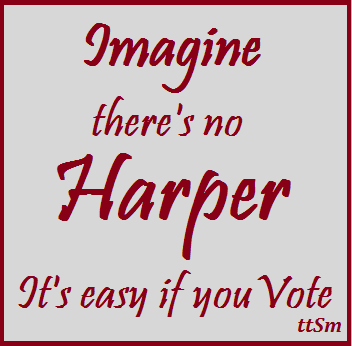 It is a huge collection of Anti-harper information that deserves to be shared.